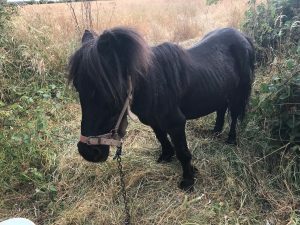 An elderly Shetland, named by staff as Treacle on her arrival, came into Bransby Horses at the request of the RSPCA in July, after she was found abandoned and tethered next to a burnt-out caravan. Concerned members of the public moved her to safety away from the caravan and Bransby Horses were called for help. Upon inspection, Treacle was in a very sorry state (pictured below) with a poor body condition of just two, open sores on her neck and a swollen shoulder preventing her from walking properly. 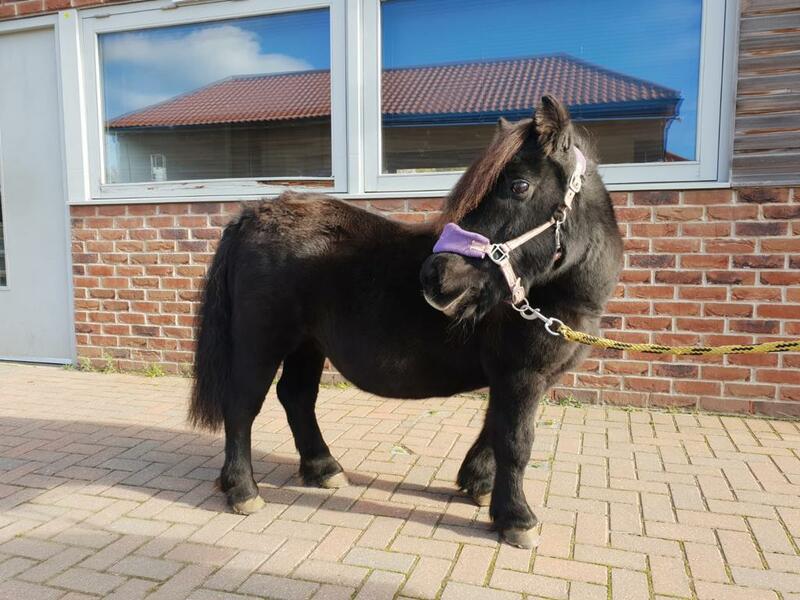 Once at Bransby Horses the resident vets were able to have a closer look at Treacle, where a nail was found in the sole of her foot which had resulted in an abscess. An abscess is caused when dirt and bacteria are able to penetrate through the hoof wall either through cracks or as in Treacle’s case, when a sharp object pierces the hoof. This allows infection to set-in and a build-up of pus within the hoof cavity. This pressure build-up can cause immense pain and difficulties moving. Treacle is understandably nervous and takes her time getting to the know the staff but has become a firm favourite. Treacle is an older lady and will now get that extra TLC that she deserves. Bransby Horses is solely funded by kind donations from our supporters which enable us to continue to care for horses just like Treacle.